If someone said she wanted a "smoothie" back in the early 1930's, she wasn't talking about the frosty, blended drink made with fresh or frozen fruit. She was talking about body-shaping undergarments, like bras and girdles, that would "smooth" out her figure. Nowadays, girdles are out, but smoothies are in. 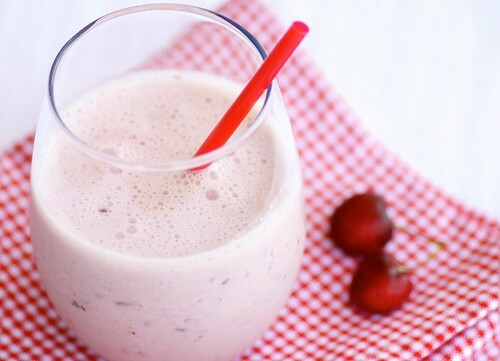 Whether it's a simple strawberry-banana breakfast smoothie made in your own kitchen or a $7 acai berry and juice concoction that promises eternal youth, smoothies are everywhere. Though some of the earliest blended fruit drinks surfaced in the late 1930's and early 1940's, smoothies as we know them, emerged in the 1960's. According to Wikipedia, Stephen Kuhnau, the owner of the chain Smoothie King admits that he didn't create the word "smoothie;" he credits hippies from the late 1960's with coining the term. No matter who came up with the name, it's now synonymous with healthy, fun, and refreshing drinks. Smoothies are generally made with fresh or frozen fruit and a liquid such as water, juice, or milk. Yogurt makes thicker smoothies. Sometimes sweeteners like agave nectar or honey are added. There are even green smoothies made from green vegetables such as spinach and kale. As for flavor combinations, let your imagination soar. But if you need some ideas, then please back here. Over the next several weeks I'll be sharing some of my favorite summertime smoothie recipes with you. And ladies, in case you didn't catch the moral of the story, here it is: Drink more smoothies so you don't have to wear a smoothie. 1. Place all ingredients in a blender and blend until smooth and frothy. Add more milk if you like it thinner. I am always looking for new smoothies since I drink them 1-2 times a day. I usually add frozen cherries but never add fresh. It sounds delicious. I never knew that girdles used to be called smoothies but I find it quite amusing! I love cinnamon in everything and cherries have been rocking my world...this is going to have to be made. I love the look of this smoothie and can't wait to see the others you have been making! Yum! Oooh I love the idea of combining cherry and cinnamon! This sounds perfectly awesome! I think a cherry smoothie sounds great! And it's pink. Can't go wrong with pink! Thanks for the clafoutis recipe. It was so very, very good. I'm getting good feedback from readers, too! OSA online school admissions : A schools directory of India where you can find all the schools in India and select best school as per your requirements, Schools admission forms are available there on OSA . fOr all the latest updates on schools in India. Yum! 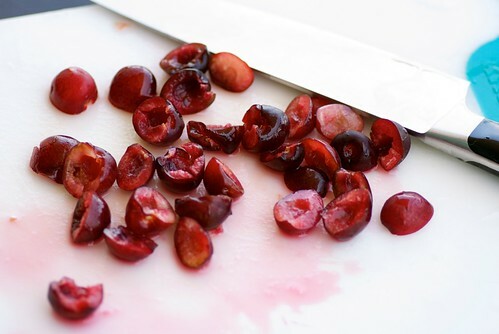 I lov ethe combo of cherries and cinnamon. So comforting, but also lovely and light!